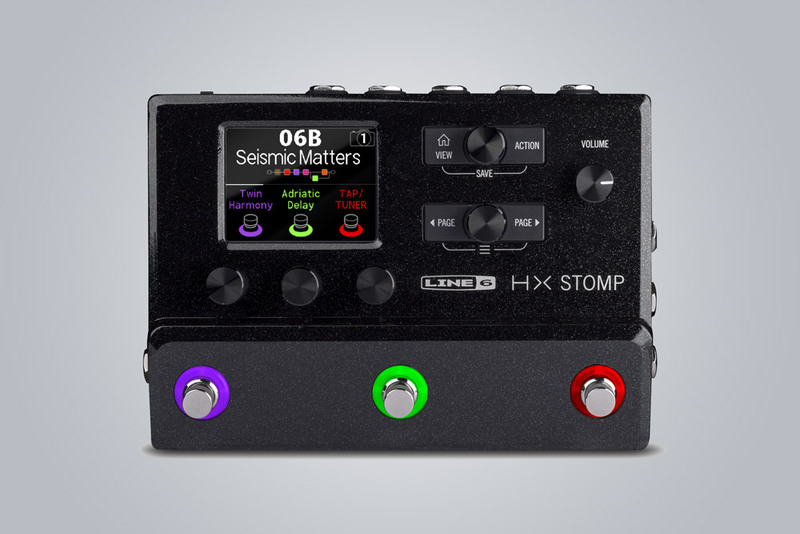 Today, Line 6 has released the newest addition to its HX series of processors—the HX Stomp, a compact, pedalboard-friendly version of its flagship Helix. The Helix allows players to combine—in multiple combinations and signal paths—more than 100 effects, along with models of 72 amps, 37 speakers, and 16 microphones. While this top-of-the-line offering has proved to be a popular processor, available as a rack unit or standalone pedalboard, not every player needs or wants the whole array of options the flagship unit provides. This means that, with the HX Stomp, you can combine up to six effects, amps, or cabs to craft your tone. Or, use six effects at once with your traditional amp setup. Or, use all your other pedals and employ the Stomp only to explore different amp and cab models. In the size of a large-format delay pedal, you're able to have a powerful processor that can be used alongside your existing effects and fit within your pedalboard—or replace it entirely. Click here to find yours on Reverb.